I’m getting ready to leave Boston this evening, but my flight is delayed so I’ve got time to write a few words about the trip. I got in to town late Friday night as planned, though it was even later than expected thanks to a United delay. I slept in on Saturday – sort of – and wandered down to packet pickup, where I was met with a multi-hour security line. 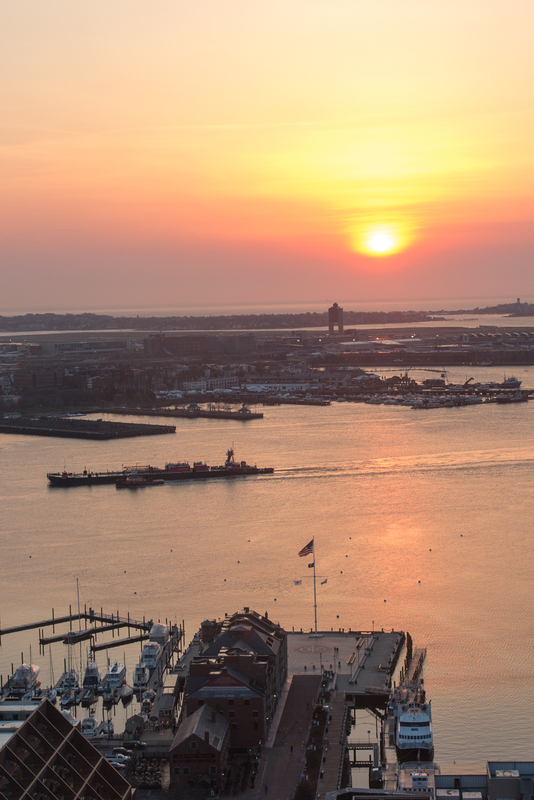 Figuring that most people at an event like this were likely to be Type-A personalities making damn sure they got their race number as soon as they could, I went back to my hotel – The Boston Custom House – and took a nap. When I went back towards the end of the day, I was able to walk through security without even stopping. I went out for a nice dinner with my parents and turned in for the evening. Sunrise over Boston Logan International. Sunday was a laid back, 80-degree day. A little wandering down to the water, and a beer up on the observation deck of the Custom House was about it for the itinerary. The forecast for race day was hot and humid, and I kept going back and forth between going for it and just doing a fun run. By the end of the evening I decided on going for it, and slept poorly as a result of the excitement. The race was a hot one. I have nothing unique to add from any other race report, so I won’t go in to much detail. It was close to 70 by the start, with a gentle tailwind to keep any sort of cooling breeze from helping. I gave it a go for the first ten miles, and backed off when it became clear I was not setting a PR. I focused on enjoying myself and the experience, and not completely wrecking myself. Despite a pretty ugly time, I’m thrilled to have run the Boston Marathon, something I never ever thought I would qualify for. I’ve walked 20 miles in the past two days and my legs are still pretty tight, so I’m glad I backed off when I did. 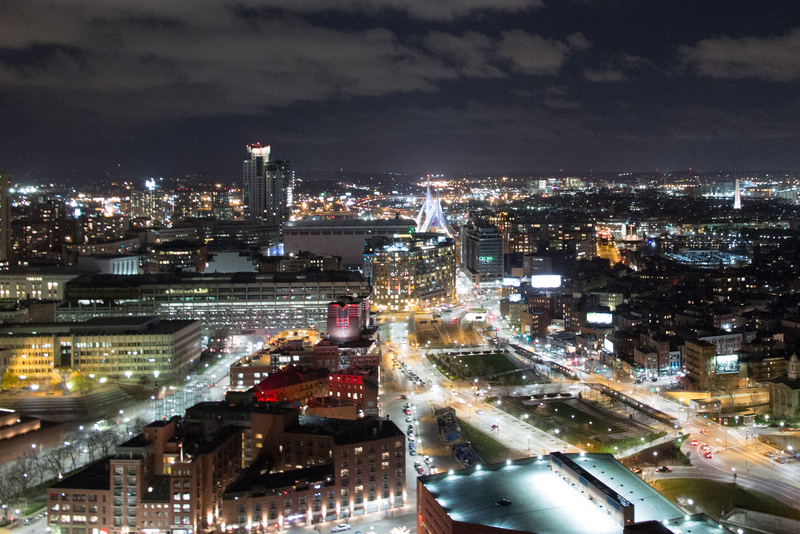 It’s been a great time, and Boston is an amazing city. I look forward to coming back and visit, but in the mean time I’m looking on to Leadville. More trail and hiking miles, more cycling, and less time pounding flat pavement. Four months from this moment, I’ll be hours away from the end of the Leadman series. It’s sure – if nothing else – to be memorable. 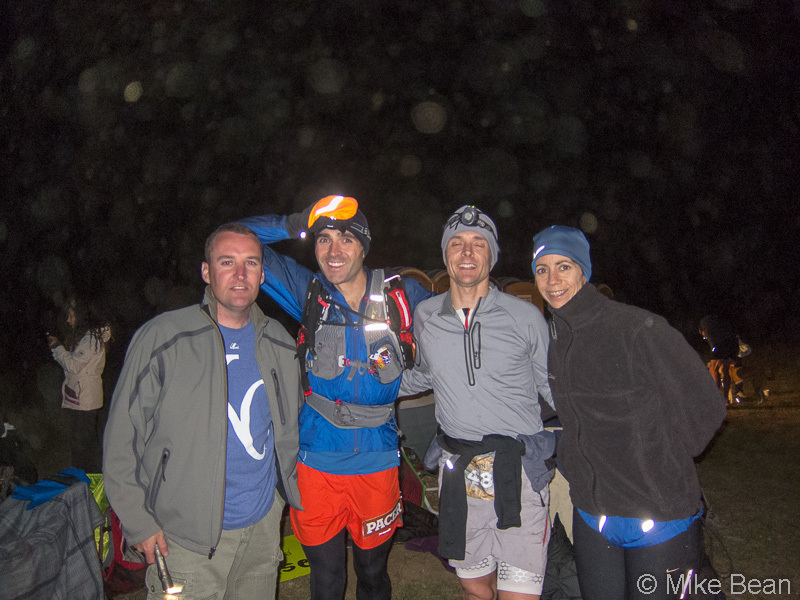 A couple weekends ago I got to do one of my favorite things – cover long distances in the mountains at night at a good pace. Several months ago, I received an email from a friend, who was passing on an email from a guy he knew, about someone else looking for a pacer (or something like that). 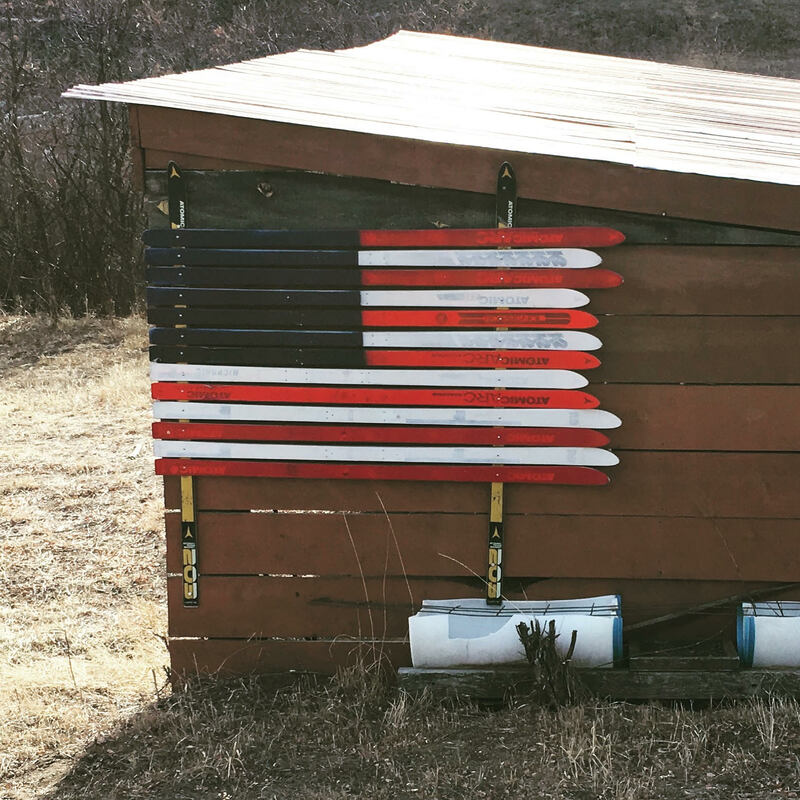 The racer, Scott Loughney, was preparing for the Leadman competition – essentially racing all summer long in Leadville. Scott’s target time for the 100 was 24-25 hours, putting the last quarter of his race solidly in the overnight hours. Perfect. 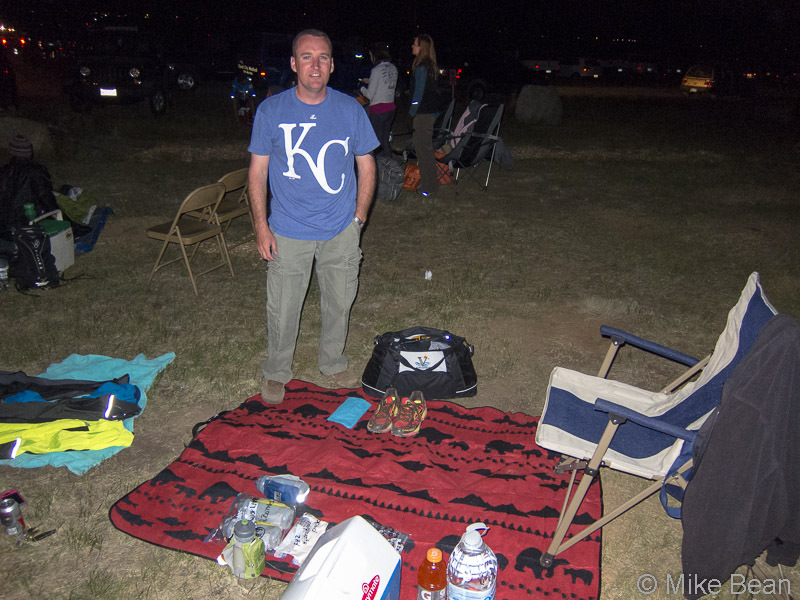 Saturday night of the race, I headed up to the Fish Hatchery to take over pacing duties and found Scott’s brother Todd all set up and ready for Scott to come in. 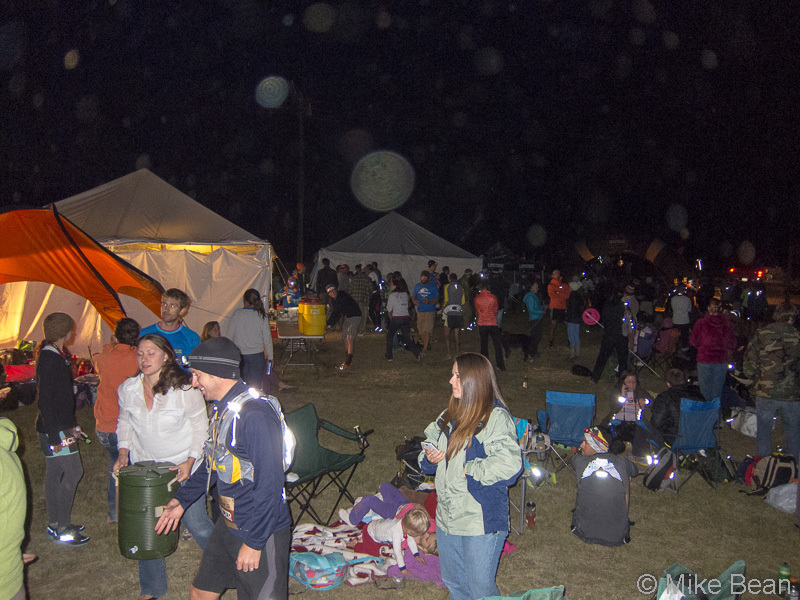 This was my first time at an ultramarathon, and it was quite the scene. Scott came in pacerless, having been too fast for his wife to keep up with. A few minutes of rehydrating and sorting new gear and we were off, me with two packs to ease the burden on Scott’s legs, which already had 76 miles in them. The evening was chilly, but keeping the pace up kept us both warm. 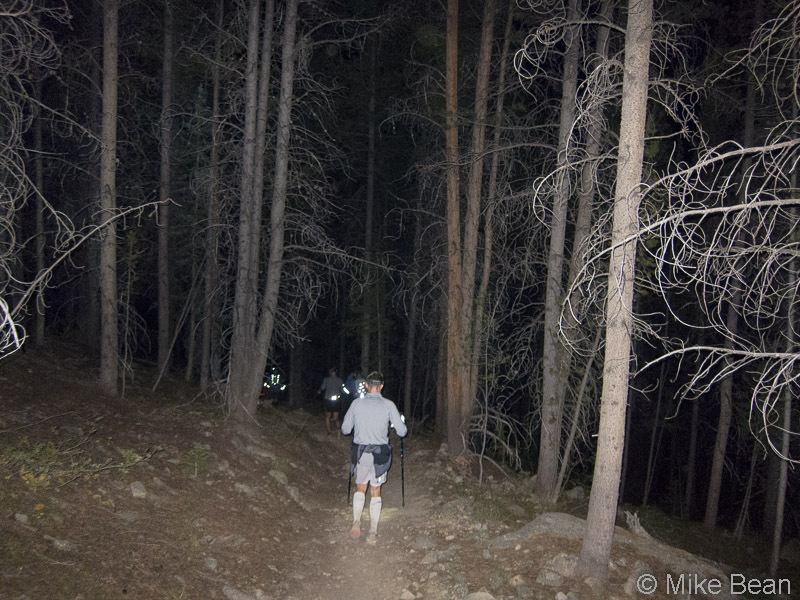 There aren’t a whole lot of pictures because, well, it was night time and we had a pace to keep up. To my pleasant surprise, Scott had no major issues during the six and a half hours we were moving through the mountains. 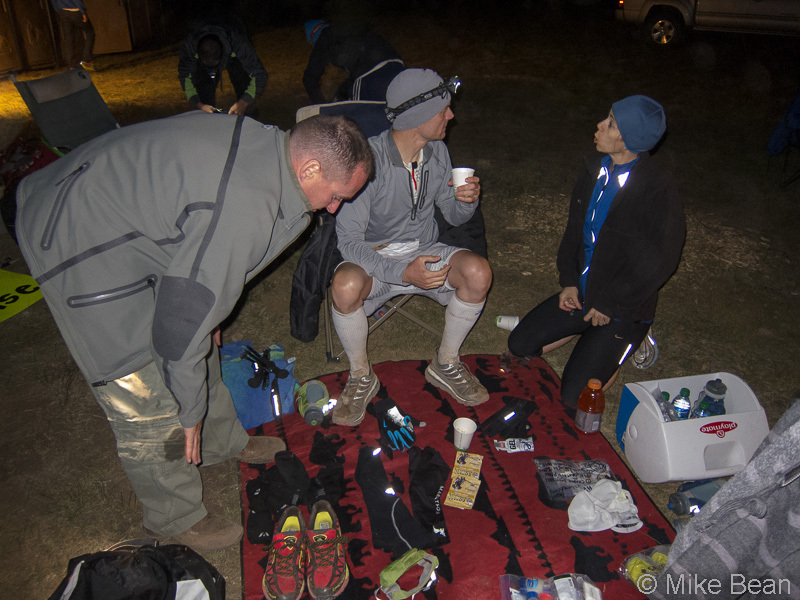 Temps dropped quite a bit in the last hour, but a good support crew came through with our warmer clothes just in time. Scott came in with a time of 24:31 (for a total Leadman time of 45:18, good for 14th in the series), plenty of time under the cutoff for the big belt buckle. It was a great time and I look forward to pacing again. 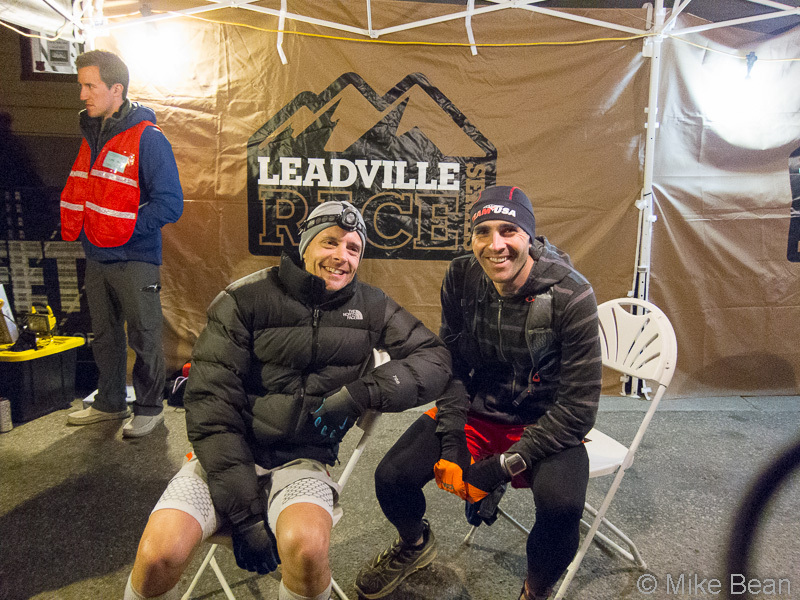 I even came away with a valuable lesson – that I have little interest in ever doing a 100 mile race. Congratulations Scott, and thanks for having me along for the ride!